Why Wilder vs Fury and Why Now? For Deontay Wilder the fight with Tyson fury cannot come any sooner, this mega fight will be ten times the fight in terms of attention and purse than any of his previous title defences. Saying this fight cannot come any sooner for Wilder doesn’t mean I think he will win just that the sooner this happens the lesser version of Tyson Fury he will face and beating this lesser version of Tyson will result in a much bigger bargaining chip for the Joshua Fight. In this sense Tyson fury must surely have the timing completely wrong? Or does he? Out of the two current world champions Wilder is certainly the lesser of the two and based on his performance vs Ortiz there is a strong possibly that Wilder won’t be world champion much longer if he faces decent standard opposition such as Ortiz (Again), Parker, Whyte, Povetkin, Pulev etc. For this reason I believe against popular belief, Tyson Fury has the timing right too, he has the chance to write one of the greatest stories in boxing history by defeating one of the great champions of all time, retiring, suffering server mental and physical health problems to come back and dethrone a 40-0 world champion. A fury win will see the biggest fight in the history of the Heavy Weight division I believe in Joshua vs Fury. 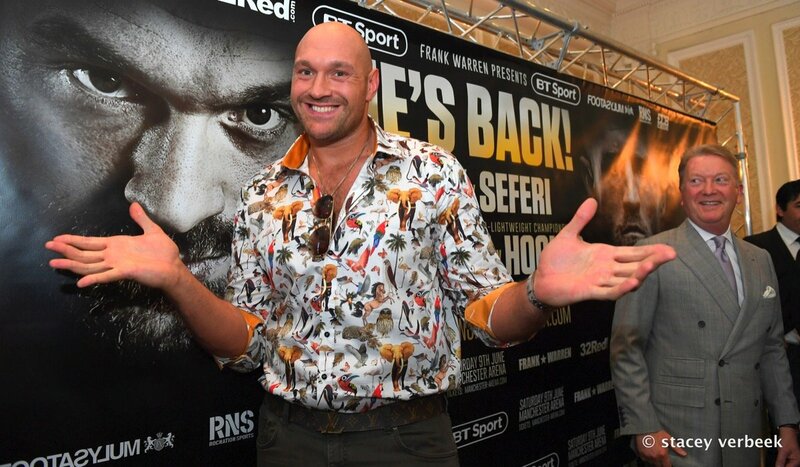 Tyson fury is no idiot and he along with the rest of the boxing world know that what we saw against Pianeta and Seferi isn’t enough to beat wilder and nobody believes the story that his coach told him not to knock Pianeta out and conceal his skill set for one second. But if we get a version of The Gypsy King that is even 70% of the man we saw in Dusseldorf then we are in for a real show. Tyson needs to rid himself of any “ring rust” but I don’t believe Tyson has this, ring rust is the term people used for David Hayes return and for Wladimir Klitschko before fighting AJ. Both these men kept themselves in incredible shape and Klitschko barely spent 5 minutes out of training camp. Tyson however has quite a different story to tell of his time off, battling mental health problems and Ballooning up to almost 30 stone, with this in mind Wilder can be fairly confident of a straight knockout win, should the fight be sooner rather than later. You are here: Home / Boxing News / Why Wilder vs Fury and Why Now?